Join me for this episode of CAPBuilder Talk as we discuss The Business of Image and Branding. My special guest this evening is Alicia Redmond Artist, Visionary and Creative Enthusiast from Alicia Redmond Studios. Join me for this episode of CAPBuilder Talk where we will discuss The Business of Trucking. My guest will be Kevin Reid the Founder and CEO of the National Minority Trucking Association. NMTA is the only organization dedicated to the social and business development of minority truckers, carriers and brokers. Join me for this episode of CAPBuilder Talk where will discuss Things You Need To Know Before Starting A Non-Profit. My special guest this evening is Terrance Ross a Non-Profit expert with Rita-Tech Software. 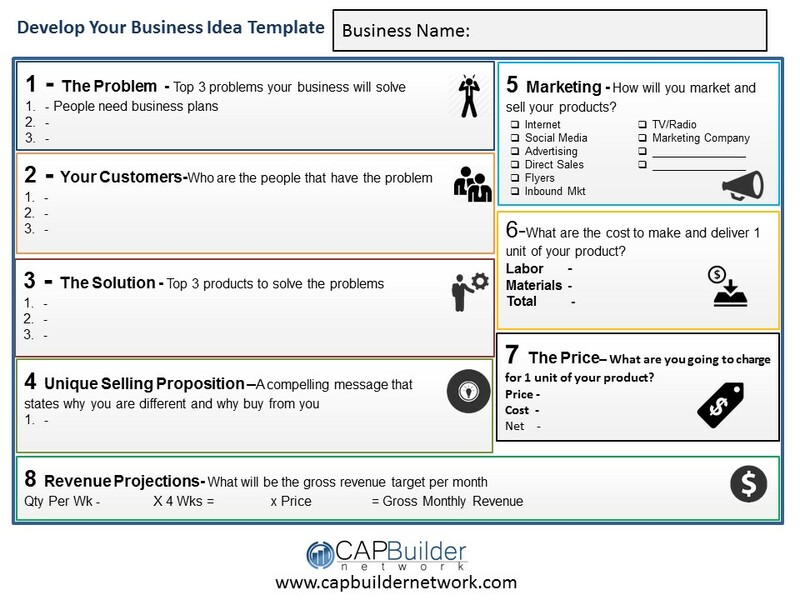 Developing a Great Business Idea!